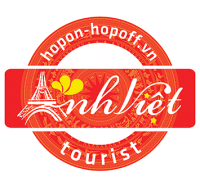 Commitment to quality service of ANHVIET TOURIST services while protecting the best interests of customers. In case of refund or cancel, the ANHVIET TOURIST will apply the penalty regulation of per supplier (hotels, airlines, …). If cancellation reasons are majeure (such as: war, natural disaster or war,..). The both will discuss settlement on the basis of mutual benefit. For refund ticket – change ticket – cancel ticket, please contact with Travel Agency where you purchased the ticket. For tickets are booked online, please contact the hotline +84 3526 8266 – +84 3526 8112 or email: sale@anhviettourist.com. A maximum of 1 hour from the time after ticketing. – Refund 100% for cancellation 3 days before departure day. After that will not be refunded. • The issue of tickets must be done before departure. • If you require a refund – change – cancel ticket via e-mail, asking to be sent from the email address that you used to book tickets, have to be suitable with the ticket – change – cancel policy . Money will be refunded directly or transferred to the account that you use to book tickets.